I’ve rounded up 15 of the best gluten free recipes for breakfast, lunch, dinner, and dessert. Oh, and they’re simple, healthy and incredibly tasty to boot. You’re welcome! If you can’t have gluten, there are a ton of breakfast recipes that you can enjoy – like eggs, smoothies, oatmeal, and yogurt. But every now and then, it’s nice to have something a little different. Try mixing up your morning routine with one of these incredibly tasty gluten free breakfast ideas. 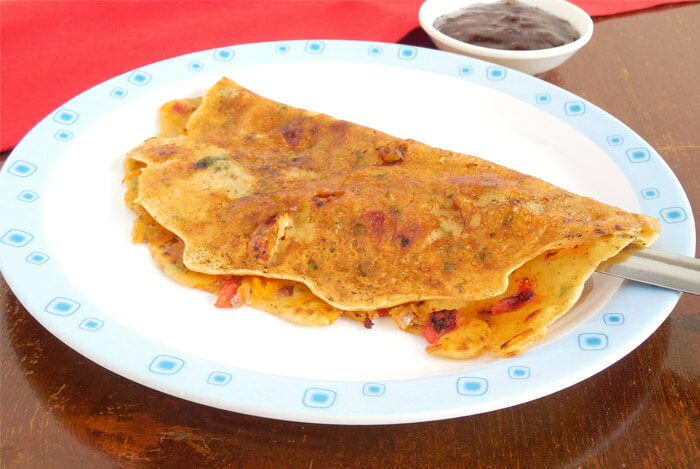 These savory crepes from Naturally Ella are pretty light so you can really taste the filling. Instead of traditional wheat flour, this recipe uses an oat flour, which you can buy or even whip up yourself in a food processor or high-speed blender. We already know that eggs are a nutritional powerhouse, but have you checked out goat cheese? Well, goat cheese is low in calories, fat, sodium, and cholesterol, yet has more vitamin D, vitamin K, thiamine, and niacin that cows cheese. Whisk together flour, salt, eggs, honey, milk, and melted butter until smooth. Heat 8″ skillet and lightly grease with oil. Place 1/4 cup of batter in pan. Tilt the pan so that the batter covers the entire pan and cook for about 30-45 seconds. Flip and cook for another 15 seconds. Layer crepes, slightly overlapping, on a plate. Spread 1/2 goat cheese on crepe, layer 2-3 tomatoes over cheese and sprinkle with basil. 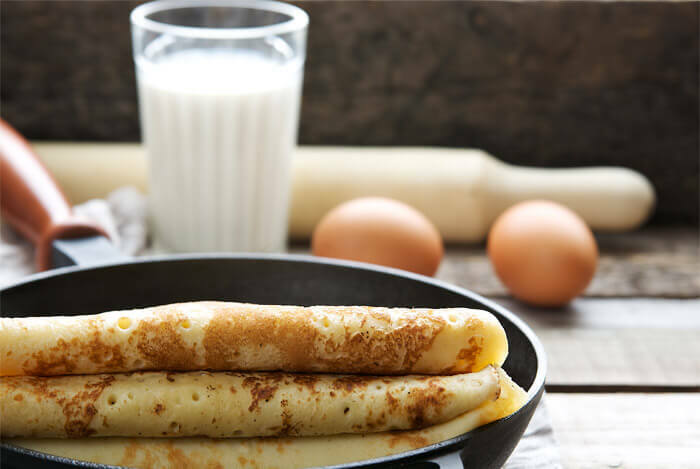 Fold crepe in half and return to skillet and cook on each side until crepes are lightly browning on each side. This breakfast bowl from A House in the Hills is one way to start off the day on the right nutritional foot. Coconut is high in vitamins C, E, B1, B3, B5, and B6, and minerals like iron, selenium, sodium, calcium, magnesium, and phosphorous. 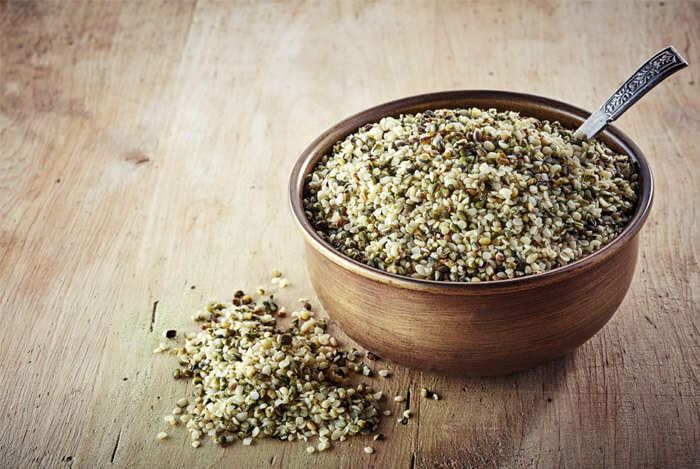 Of course, quinoa is one of the most protein rich carbs around, while goji berries are a fiber rich superfood with all the essential amino acids. And don’t forget that the mighty chia seed is a super source of omega 3 fatty acids. Rinse quinoa and add to a medium sauce pan with water, coconut milk and dates. Bring to a boil, then reduce heat and simmer for 15 minutes, or until quinoa has started to soften. Add cinnamon, nutmeg, cardamon, pepitas, shredded coconut and golden raisins and cook for an extra 5 minutes, adding water if necessary. Serve hot and topped with banana, goji berries, chia seeds, and coconut flakes. These traditional North Indian breakfast pancakes by Vegan Richa are savory, spicy, and filling. It’s so tasty thanks to an array of beneficial spices. And, chickpea flour has more protein than wheat flour and contains unsaturated fats. I like to top mine with sautéed veggies and sliced avocado – and it honestly keeps me full right through to lunch. Combine chickpea flour and 3/4 cup water and whisk until smooth. Whisk in another 1/2 to 3/4 cup water to make a thin lump-free batter. Add the salt, turmeric, cayenne, carom seeds, onion, chili, cilantro, and 1 teaspoon of oil, and mix well. Let sit for 5 minutes. Heat the rest of the oil in a skillet over medium heat. Add 1/3 cup of the batter and cook until the edges start to leave the pan and the bottom is golden brown. Flip and cook the other side. 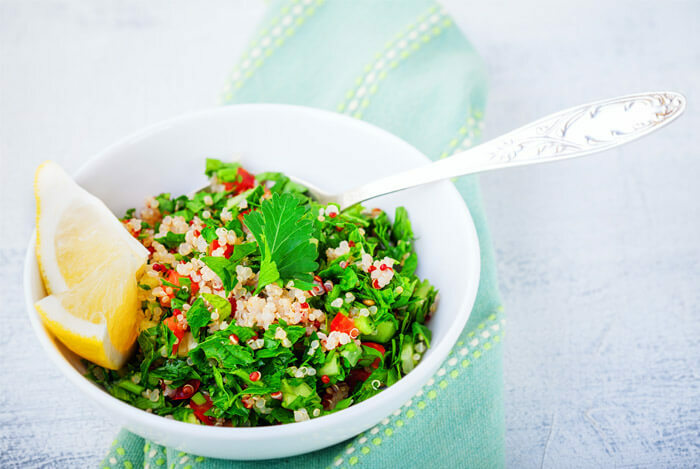 Swapping the gluten containing grains bulgur or couscous for quinoa in this recipe from The Kitchn is a simple way to make this traditional Lebanese dish perfect for those who can’t have gluten. The feta cheese is lower in fat and calories than many other dairy cheeses, yet you’ll still be getting some calcium and protein. If you need a little something extra to fill you up, try adding a poached egg on top. It’s probably not very Lebanese but it is protein rich, healthy and satisfying. 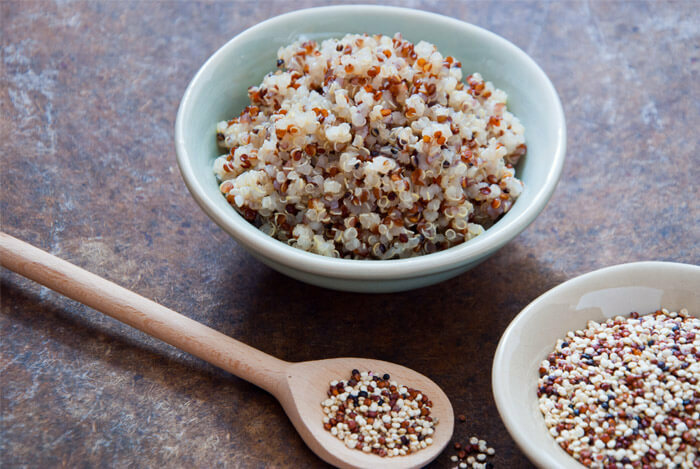 Rinse the quinoa, combine with 2 cups of water and 1/2 teaspoon salt in a medium saucepan. Bring to a simmer, then turn heat to medium-low, cover and cook until the quinoa is fluffy and chewy, about 20 minutes. Drain and allow quinoa to cool almost to room temperature. Stir the onions, tomatoes, parsley, mint, and garlic into the quinoa. Whisk together the olive oil and lemon juice with 1/2 teaspoon of salt. Pour this over the salad and stir to combine. Crumble the feta over the salad and stir, then add salt or pepper to taste. 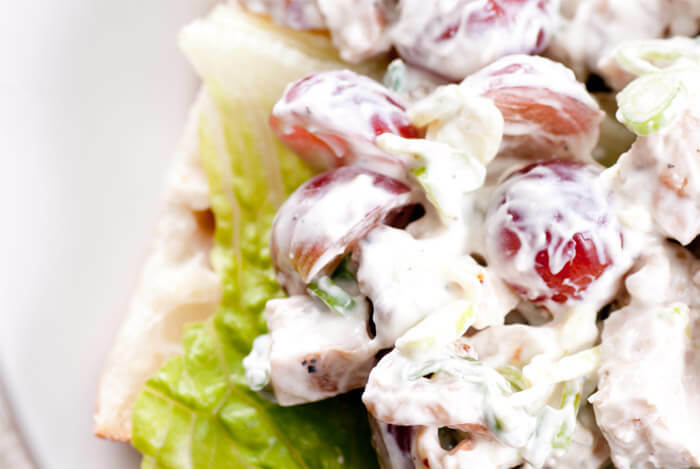 Chicken salads don’t get any healthier than this recipe by Katie, also known as Wellness Mama. Not only is it gluten free, but it’s low carb, packed with nutrients and doesn’t use the high fat mayonnaise found in most chicken salads. But don’t worry – it’s not dry. Katie uses probiotic rich yogurt in place of mayo for a tangy, creamy taste. Probiotics are those friendly bacteria that help with gut health and immunity. Put chicken, walnuts, celery, grapes, and apple in bowl. Add yogurt, honey, lemon juice and seasoning. Serve over lettuce or spinach or wrap in leaves for chicken salad wraps. I know what you’re thinking, a second lunch time salad recipe. Boring! But this salad from Avocado Pesto is so good. It’s light yet filling. The spices on the salmon and the creamy, herby dressing pack a mean flavor punch. Don’t forget that salmon is one of the healthiest foods around – a rich source of protein, healthy fats, vitamin B12, vitamin D, and selenium. The fresh romaine and onions and the hearty black beans all help with satiety. Plus, it can be whipped up in a few minutes. I promise, you won’t be disappointed. Heat oil over medium heat. Wash and dry salmon steaks and sprinkle with salt to taste, cumin and smoked paprika on both sides, rubbing the spices in. Add the salmon steaks to the oil and cook until browned on each side (5-6 minutes). In a food processor combine the dressing ingredients and process until smooth. In a large bowl toss romaine with red onions, black beans and dressing and top with the salmon. ‘Sweet, rather spicy and very comforting’ is how New York Times Bestselling author Elana at Elana’s Pantry described her soup recipe. Sounds good right? Well, it tastes pretty darn good too, and is loaded with health benefits. Crimini mushrooms are full of selenium, copper, potassium, phosphorus, and zinc, as well as antioxidants.. Warm oil in a large saucepan over medium heat, add shallots and cilantro and stir until softened. Stir in stock, coconut milk and honey and bring to a simmer. Pour broth through a fine mesh strainer and discard solids (shallot and cilantro). Return broth to saucepan, reduce heat to medium, add mushrooms and broccoli and cook until tender. Add chicken and cook, stirring constantly. Ladle soup into bowls and garnish with cilantro, chilies and scallions and serve with lime wedges. The name might not be too appealing, but it pretty much sums up how to cook this quick and easy dinner, which has a serious Mediterranean vibe going on. 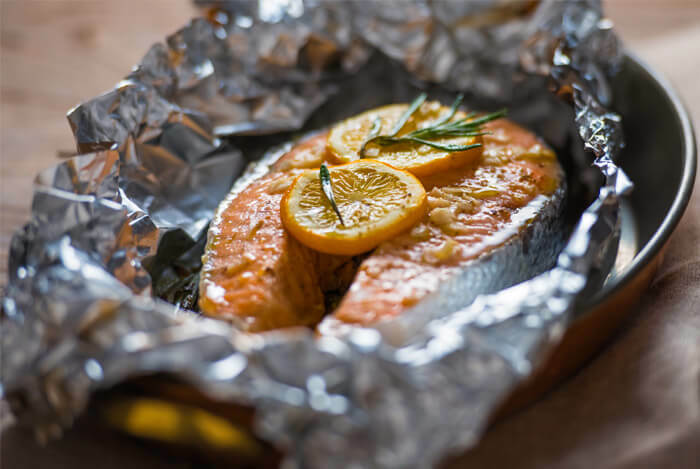 Baking the fish in a foil bag means you cut down on oils without ending up with a meal and the flavors marinade really well, so it’s super tasty. If you want to be really good, then I recommend switching the potatoes for sweet potatoes. Cook the potatoes in a pan of water for 6 minutes, then drain and allow to cool slightly. Heat the oven to 400F. Meanwhile, make a bag out of wide foil and seal three sides with a little beaten egg. Place the fennel, lemon slices, cherry tomatoes, oil, olives, fish, potatoes and wine in a large bowl. Season and gently combine. Scoop into the foil bag and sprinkle on the fennel fronds. Seal the remaining edge. Place on a baking tray and cook for 18 to 20 minutes (until fish is cooked). Once cooked, gently pierce the bag to release the steam. Serve with steamed broccoli or green beans. Not just gluten free, this dinner is paleo friendly too. While I’m not always a huge lover of zucchini noodles, sometimes they work – and this dish by Against All Grain is one of those times. If you’ve been living under a rock for the last few years and don’t know about zucchini noodles, they’re made by shredding zucchini with either a spiralizer or julienne peeler. Zucchini has a good amount of potassium. 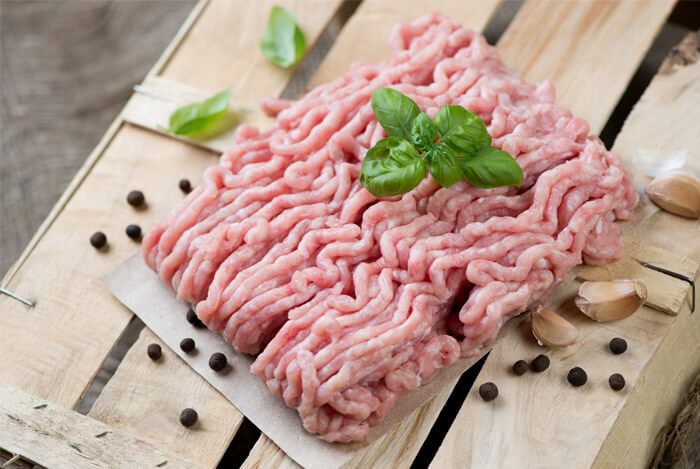 If you prefer, you can sub the ground beef for a leaner option of ground chicken or turkey, similar to one of my favorite lunch recipes. To make the meatballs, whisk the eggs in the bottom of a big bowl. Add the remaining ingredients (except the noodles and spaghetti sauce) then knead the mixture with your hands until everything is just incorporated. Form the meat into golfball-sized meatballs. 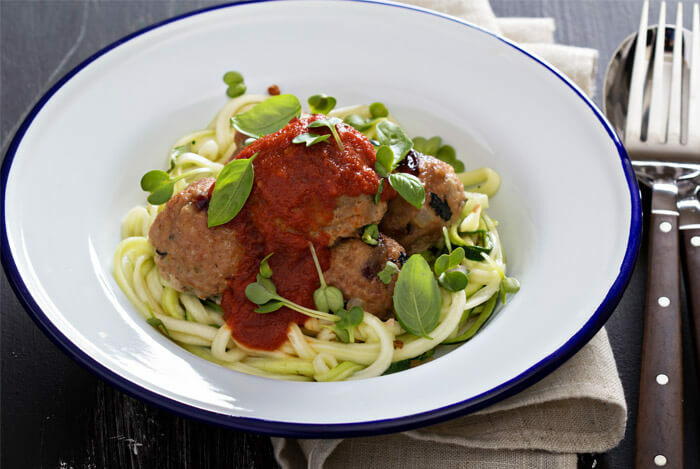 Heat the olive oil in a pan over medium heat and cook the meatballs until browned all over. They do not need to cook all the way through since they will simmer in the sauce. Add the meatballs to the sauce and simmer over medium heat for 20 minutes, until the meatballs are cooked through and the sauce is thickened. Stir occasionally. 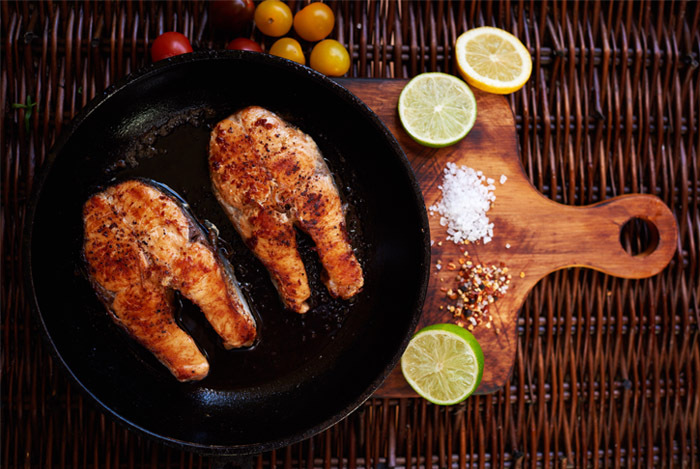 If you make these particular tenders by Gimme Some Oven, then you can choose high quality chicken for a lean protein hit, as well as doses of vitamin A for healthy eyes, and the B vitamins needed for good skin and a well-functioning nervous system. Heat oven to 400 degrees F. Line a baking sheet with parchment paper. In a bowl, whisk together hemp, ground almonds, garlic powder, paprika, salt, pepper and cayenne until combined. Dip each chicken strip in the eggs until they are completely covered, then toss the chicken strip in the hemp mixture until covered. Transfer the chicken strip to the baking sheet. Repeat with remaining chicken. Spray lightly with cooking spray (or drizzle oil on). Bake for about 15-20 minutes, turning once halfway, until chicken is cooked and breading is golden. This vegan, gluten free curry by Minimalist Baker is loaded with veggies in a sweet but spicy coconut milk. Serve it with brown rice, wild rice or quinoa. All in all, a pretty healthy filling meal, thrown together in no time. 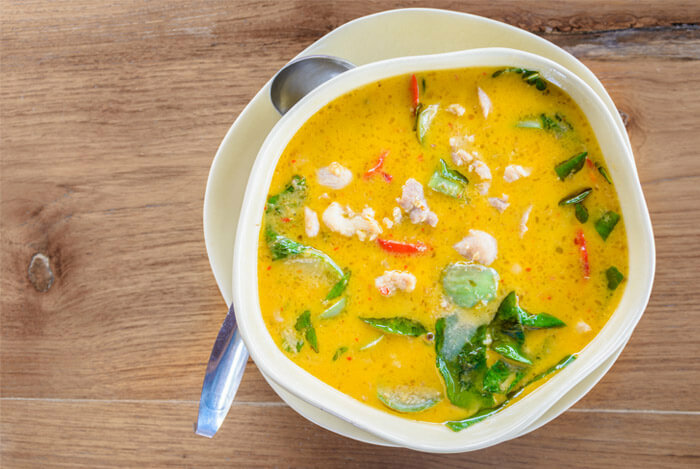 Heat a large saucepan and 1 tbsp of coconut oil. Add the onion, garlic, ginger, carrot, broccoli and a pinch each salt and pepper and stir. Cook, stirring frequently, until softened – about 5 minutes. Add curry powder, cayenne (or chili pepper), veggie stock, coconut milk, another healthy pinch of salt and stir. Bring to a simmer then reduce heat slightly and continue cooking for 10-15 minutes. Add the snow peas and tomatoes in the last 5 minutes. Taste and adjust seasonings as needed. Serve garnished with fresh lemon juice and herbs. Now, I know some chili lovers won’t think this recipe by Nutritionist in the Kitch is a real chili without the beans, but you might just be surprised. Veggies can swap the turkey for another protein source like beans or even the meaty texture of portobello mushrooms. It’s also topped with my favorite calcium rich Greek yogurt – something I didn’t expect to be such an amazing sour cream substitute. Once turkey is cooked, add onion and garlic; cook 3 minutes over medium heat. Add the diced tomatoes, sweet potato, tomato sauce, water, chili powder, paprika, salt and bay leaf. Cover and simmer over medium-low heat until potatoes are soft and cooked through, about 20 minutes stirring occasionally. Add 1/4 cup more water if needed. Add in chopped kale, and stir until kale is wilted. Remove bay leaf. Top with a dollop of fat-free plain Greek yogurt, and a sprig of cilantro and serve. I’m not a big fan of fruit for dessert but I’ll make an exception for this recipe from Oh She Glows. It’s also a great snack – especially if you want to liven up some basic fruit. Place the cashews in a bowl and cover with an inch of water. Soak overnight or for at least 8 hours then drain and rinse thoroughly. Add cashews, almond milk, cherries, vanilla extract and sweetener to a blender and blend until completely smooth. 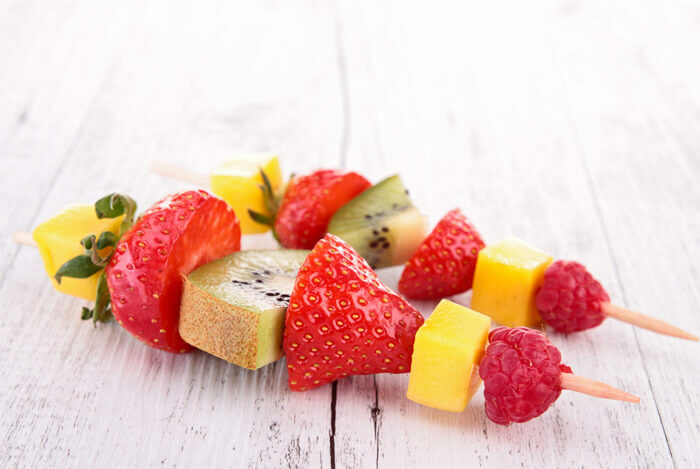 Chill for a few hours for flavor, or serve immediately with fruit kabobs. 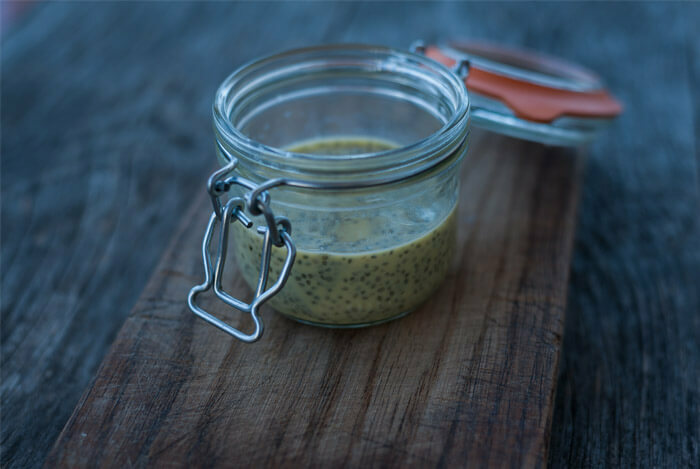 The last time I featured a chia pudding it was for breakfast, but the great thing about these tasty treats is that, by switching up a few ingredients, they can make awesome, healthy desserts too. This chai spiced recipe by Blissful Basil is nice and sweet for dessert but I like to make it as a snack now and then. 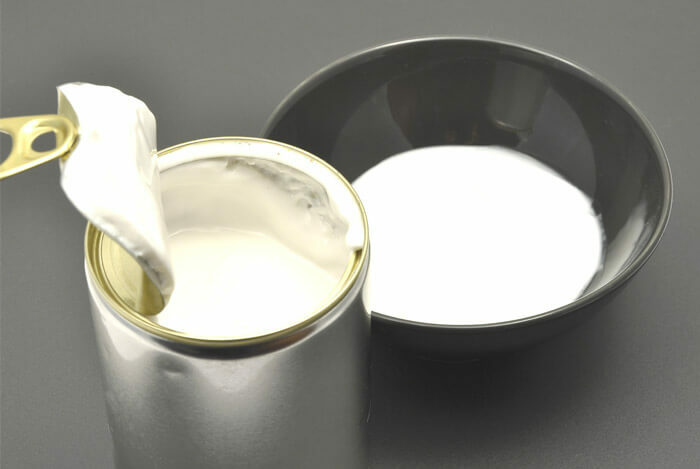 Add all ingredients to an airtight container, and whisk together. Refrigerate for at least 4 hours, but preferably overnight. Lastly, here’s one for the savory snack lovers. Avocado Pesto’s bean and kale dip recipe contains its fair share of nutrient rich ingredients. Serve this with sticks of cucumber, known to boost energy and fight cravings. And, it can be made in two minutes flat. Combine all ingredients in food processor and process on high until smooth. Add more olive oil or water if needed. I hope you’ve found some gluten free recipes here that might make you think twice about the idea that gluten free food is boring. 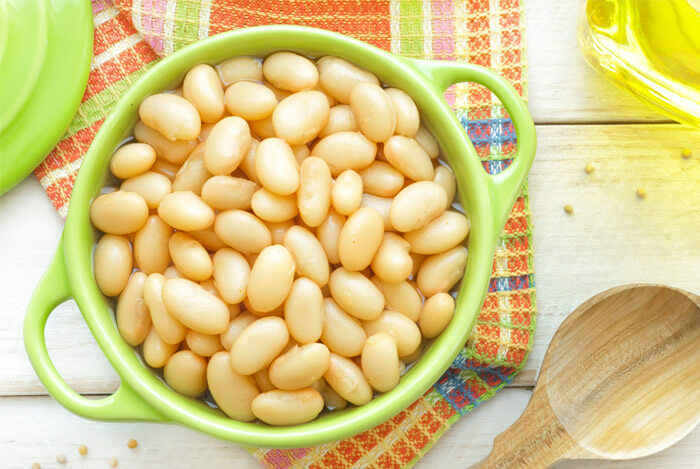 What’s your take on these gluten free recipes? Have anything else you’d like to share? Let me know in the comments below!